Huji added a comment to T220165: When an IndexLayout is nested inside a continuous StackLayout, other panels overlap its content. I think (though I am not sure) that this is happening because deep inside an IndexLayout, there exists a StackLayout which helps showing only one of the tabs at any given time. So when you put an indexLayout inside a StackLayout, you are essentially nesting StackLayouts, and the CSS model for StackLayouts does not support nesting at all. Huji moved T220764: Expose more detailed diff information to the AbuseFilter from Backlog to Filtering features on the AbuseFilter board. Huji triaged T220764: Expose more detailed diff information to the AbuseFilter as Normal priority. Huji updated the task description for T220764: Expose more detailed diff information to the AbuseFilter. Huji created T220764: Expose more detailed diff information to the AbuseFilter. Huji closed T220253: Possile vandal account on Phabricator as Declined. Got it. I just saw it today so I thought I should make sure it is noted. Huji added a comment to T220166: Add a property or method to OOUI which would show its version number. It is a minor enhancement request; no big deal if the decision is to decline it. Huji created T220253: Possile vandal account on Phabricator. I came across this when I was trying to report a few issues, and I wanted to know which version of OOUI was in use where I saw those issues. Mill <mill@mail.com> committed rELGN06ed1e556077: 4!baaaaaaaaaaa (authored by Huji). Huji renamed T220166: Add a property or method to OOUI which would show its version number from Add a property or method to OOUI which would show its version numebr to Add a property or method to OOUI which would show its version number. Huji created T220166: Add a property or method to OOUI which would show its version number. Huji created T220165: When an IndexLayout is nested inside a continuous StackLayout, other panels overlap its content. Huji created P8349 IndexLayout nested in a continuous StackLayout. 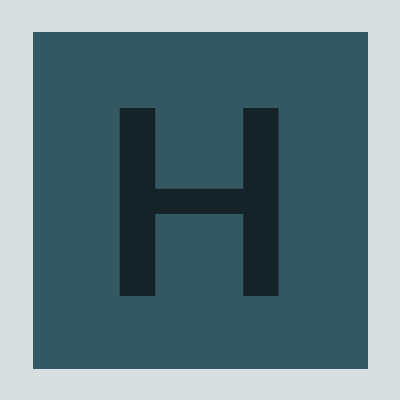 Huji added a comment to T213845: Change link colors in Vector. One at a time! This is something that takes a lot of political will to happen for each skin. Huji removed a project from T219033: Syntax error in OOUI documentations: Africa-Wikimedia-Developers. Huji closed T219033: Syntax error in OOUI documentations as Resolved. Huji claimed T219033: Syntax error in OOUI documentations. It bothers me a lot, so I'm posting a fix. Huji renamed T219009: Focusing on tabs should trigger the appropriate event of the first focusable element if autoFocus is true from Making a tab active will select an input against user's will to Focusing on tabs should trigger the appropriate event of the first focusable element if autoFocus is true. Huji added a comment to T219009: Focusing on tabs should trigger the appropriate event of the first focusable element if autoFocus is true. Thanks @Schnark that was helpful. I am updating the task accordingly. Huji closed T219106: Search bar for check rationale in CheckUser log as Declined. Huji updated subscribers of T219106: Search bar for check rationale in CheckUser log. Keyword searching is generally very slow and cannot be made efficient. In technical terms, it is not possible to index a database column that contains strings (like the one that stores the check reasons) in such a way that you can efficiently look for a word appearing in the middle of the string. Huji closed mock M280: UserMessages tool mockup. Huji added a project to T219033: Syntax error in OOUI documentations: good first bug. Huji created T219033: Syntax error in OOUI documentations. Huji created T219026: Add a method for modifying the placeholder value for text inputs. The second part of the task would still apply. Huji created M280: UserMessages tool mockup. Huji updated the task description for T219009: Focusing on tabs should trigger the appropriate event of the first focusable element if autoFocus is true. Huji created T219011: Contents of a framed tab bleed out of the frame. Huji created T219009: Focusing on tabs should trigger the appropriate event of the first focusable element if autoFocus is true. Huji closed T212830: Fawiki article cannot be edited: "Service Temporarily Unavailable" timeout upon saving at API execution limit (200 seconds) as Resolved. Thanks @Daimona! I am glad my hunch was right. Huji added a comment to T212830: Fawiki article cannot be edited: "Service Temporarily Unavailable" timeout upon saving at API execution limit (200 seconds). Last: I cannot find a TypeError message in the browser console. Could it be that you are using a particular Gadget? Can you try with debug=true and point us to the script that causes the TypeError please? Huji updated subscribers of T212830: Fawiki article cannot be edited: "Service Temporarily Unavailable" timeout upon saving at API execution limit (200 seconds). @Dalba my hunch is that when you blank the page, AbuseFilter will try to work on a massive diff, and that slows thing down to the point of crashing. Smaller changes produce smaller diffs, and let the page go through. @Aklapper first of all, I don't see any indication on that page's history that you successfully saved an edit. Please try with a dummy edit instead (with null edits, the issue doesn't reproduce itself). Huji added a comment to T218074: ip_in_range should accept explicit range notation. Huji added a comment to T144127: Add links on all Phabricator/Maniphest project pages to the corresponding source code pages in Diffusion. For the record, I have been going around and adding such links whenever I run into a project in Phab that doesn't have a link to the corresponding Diffusion page. At this point, I think the best "solution", so to speak, is to make sure that whenever a new project is created on Phab, a checklist is followed (do we have one?) and linking the project to its Diffusion is an item on the checklist. Huji removed a project from T217972: log_user_text is missing for some logs in fawiki: Cloud-Services. Great. That means the view is not to blame. Huji created T217972: log_user_text is missing for some logs in fawiki. Huji added a comment to T217776: CodeEditor incorrectly shown for edit notices for CSS pages. I am an admin so I did it. Thanks for the guidance! Huji created T217776: CodeEditor incorrectly shown for edit notices for CSS pages. Huji created T217775: CodeEditor does not recognized the @counter-style rule. Huji added a comment to T217713: Checkuser throws exception if looking up user with invalid name. Guess what, it was a regression that I had introduced in https://gerrit.wikimedia.org/r/#/c/mediawiki/extensions/CheckUser/+/374851/ more than year ago! Huji claimed T217713: Checkuser throws exception if looking up user with invalid name. I can confirm that ending the username with _ will cause an exception. Looking for the root cause now. Huji added a comment to T217456: Logs for renaming users with username in Arabic script should show first number of change. Huji awarded T216904: Upgrade AbuseFilter extension to use newer phan a Love token. Huji created T217290: LoginNotify cannot notify for logins from unkonwn sources if 2FA is enabled. revi awarded T154430: Include the original sender name in the FROM field a Meh! token. Huji added a comment to T146837: Add ability to search by user agent from CheckUser interface. Please see my related comment in T147894#4962824 in which I explain why, at least for now, it is best to restrict the functionality to searching either by IP or by UA (so if both are provided, we would return an error and ask the user to remove one). It is possible (though I am not sure how likely) that allowing both the IP and the UA to be specified would translate to the need for a massive index on the database tables that would be unjustifiable given the few use cases for a joint search, so I would rather differ that to a later time in the interest of having the UA search in production in near term. Huji added a comment to T147894: Create index for cu_agents in cu_changes table. @jcrespo The index you created in T212092#4934152 is exactly the one proposed in https://gerrit.wikimedia.org/r/#/c/mediawiki/extensions/CheckUser/+/414120/1/cu_changes.sql so I am a bit confused about what exactly you are asking for. Huji added a comment to T181024: AbuseFilter should not cast arrays into strings. Anyway, in PHP arrays are always greater than numbers, and no cast is performed. Huji awarded T213037: AbuseFilter should have an edit API a Love token. Huji closed T191173: Unneeded horizontal scrollbar in MediaWiki namespace in fawiki as Resolved. Krinkle awarded T213778: Update link colors in Vector for improved UX (and consistency) a Orange Medal token. Huji triaged T216100: Add AbuseFilters to Watchlist as Lowest priority. I think it is theoretically possible. The same mechanism that StructuredDiscussions uses to inject rows into the watchlist can be also used by AbuseFilter. We would have to figure out how much demand there is for this though. At this point, I categorize it as a "nice to have" feature, hence the Lowest priority. jcrespo awarded T212092: Provide a strategy for testing the performance of queries needed to show the list of user-agents for each IP a Party Time token. @jcrespo Given the analysis you already did on T212092#4934152 would you recommend that we go ahead with creating this index? (If I understand your comment there, the index would be beneficial for a search only on agent and timestamp, with no restrictions on IP). Huji closed T170508: The "show ip" action should also provide a distinct list of user-agents for each IP as Declined. Huji closed T212092: Provide a strategy for testing the performance of queries needed to show the list of user-agents for each IP, a subtask of T170508: The "show ip" action should also provide a distinct list of user-agents for each IP, as Resolved. Huji closed T212092: Provide a strategy for testing the performance of queries needed to show the list of user-agents for each IP as Resolved. Huji updated subscribers of T157916: Delete tool hujibot. @Zoranzoki21 since you help with Cleanup often, can you give this task some love too? Huji closed T210767: Create a unit test for $wgGroupBlockRestrictions as Declined. Several people have described this as a config creep, so I am going to mark it as declined. Let's hope we never get to a day when an eliminator tries to block a sysop. Huji closed T210767: Create a unit test for $wgGroupBlockRestrictions, a subtask of T210642: Disallow eliminators to block sysops on fawiki, as Declined. Huji added a comment to T212092: Provide a strategy for testing the performance of queries needed to show the list of user-agents for each IP. To confirm: is the cu_changes table 12TB for enwiki? Huji added a comment to T215136: Disabling an AbuseFilter action does not remove that action from existing filters. "Our" actions. For them, we can just use the usual code, plus something to make clear that they can only be disabled. For instance, we could put them in a separate form section with a short explanation. Or even add a warningbox above each of them with such an explanation. At any rate, I believe we should add a warningbox to the top of the page. Okay, I like that analysis. @Daimona if we generalize this problem (which I did in the patch and in its commit message), the issue is not just with "disabled" actions, but also with "undefined" actions. Imagine that you expand the set of actions either through changes in AbuseFilter code, or via hooks and through other extensions; afterwards, imagine you remove those actions, or stop using said extensions. This will leave you with some filters that contain actions that do not exist anymore, which means you don't even have access to the appropriate messages, etc. to even show them in a "disabled" fashion on the filter edit form, to allow the users to uncheck the now-nonexistent actions. Huji claimed T215136: Disabling an AbuseFilter action does not remove that action from existing filters. Huji added a comment to P7956 Filters which must be manually fixed in WMF wikis. I managed to fix the ruwiktionary one using my global sysop rights. Huji edited P7956 Filters which must be manually fixed in WMF wikis. Huji raised the priority of T208931: Warning: Invalid parameter for message "abusefilter-log-detailedentry-local" from Lowest to Needs Triage. Huji raised the priority of T214196: BadMethodCallException: Call to a member function dumpAllVars() on a non-object (boolean) from Lowest to Needs Triage. Huji removed Due Date on T144265: AbuseFilterFilterAction hook sometimes passes null instead of Title object. Huji raised the priority of T214193: PHP Notice: Unable to unserialize in AbuseFilter.php from Lowest to Needs Triage. Huji updated the task description for T214193: PHP Notice: Unable to unserialize in AbuseFilter.php. Huji updated subscribers of T214193: PHP Notice: Unable to unserialize in AbuseFilter.php. Huji added projects to T214193: PHP Notice: Unable to unserialize in AbuseFilter.php: Patch-For-Review, User-Daimona, AbuseFilter, Wikimedia-production-error. For doing a hash match, you need to store the hashed UA as a new column in the table, correct? There will be some space implications for it (I think CU tables on WMF production servers are in the 20GB range now, and the largest field in them is the UA field). That being said, I am okay with an interim solution that consists of adding a hashed UA field, indexing it, and allowing exact match searches. That will probably be easier to implement, and it will help us demonstrate several use cases of UA lookups, which would hopefully facilitate moving this task and its parent along. @jcrespo I created this while you aware away. Just making sure this has not gone unnoticed, and also making sure this is what you would want from me to complete DBA review for CheckUser related sign-offs. Huji added a project to T215005: IP addresses should be shown LTR: I18n. Huji claimed T215005: IP addresses should be shown LTR. Huji updated the task description for T215005: IP addresses should be shown LTR. Huji created T215005: IP addresses should be shown LTR. Huji created T214981: The yellow "new message" banner does not go away until the cache is purged. Huji added a comment to T214820: Enable CheckUser for beta cluster. On one hand, this is a project management question. Do we want to make an exception (as @Zppix suggested and @Rxy desires), and let this get to the production faster, or do we want to use this bottleneck and require @Rxy to solve this issue (of inability to test CU code easily) once and for all. Krenair is correct, and I also think that enabling CU on Beta is not a great strategy. Huji awarded T210739: Target deletion during page move fails a Barnstar token. Huji added a comment to T176291: Variables constantly don't appear in abuse filter log. Huji added a comment to T214592: afl_log_id is never written to. Entering this discussion abruptly, so I'm not sure how useful my comment is, but: please note that unlike edits (which are all in one place), logs are stored in different places, and it is wrong to assume that this field is meant to point to a logging.log_id as, to the extent I understand it, logs that are in other tables can also trigger filters. At least in theory. Unless I am totally misunderstanding the code. Huji added a comment to T142907: Confidentiality agreement in farsi (fa): add to Legalpad. Would you like me to translate the new version? Huji awarded T214478: The first Selenium test for AbuseFilter a Like token. Huji added a comment to T210739: Target deletion during page move fails. Could we revert the beta cluster to the versions @Anomie pointed out, test the issue, and then move the beta cluster forward one revision at a time until the issue appears (or disappears)? After all, the beta cluster has the closest setup to the WMF production. I create a gadget on zhwiki to bypass the problem. It add a button in Special:MovePage to delete target page (via API). If you want, you can copy it to your wiki. If you have questions about this gadget, leave a message on my talk page. Huji closed T213998: TypeError: this.options.badges.map is not a function as Resolved. Confirming that this works properly on Wikidata now. Huji closed T213998: TypeError: this.options.badges.map is not a function, a subtask of T206668: 1.33.0-wmf.14 deployment blockers, as Resolved.